For those who file their income taxes on paper, you can make your contribution to the Maine Public Library Fund on schedule "C-P" on your Maine income tax form. If you use TurboTax or H&R Block tax software, the process is a little different. Please see the instructions below. 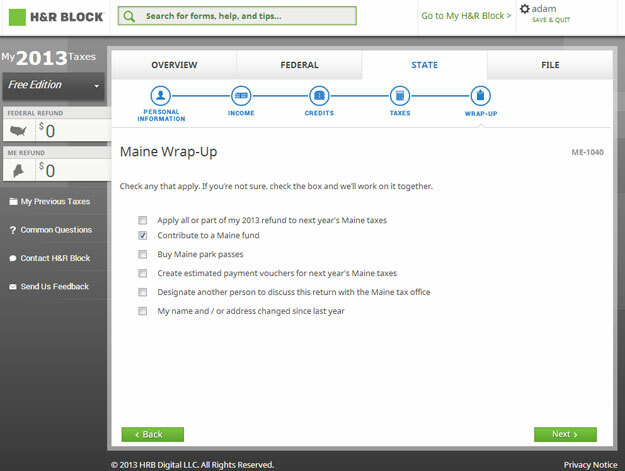 The voluntary contribution questions for H&R Block filers come as they wrap-up the State of Maine portion of their income tax filing. 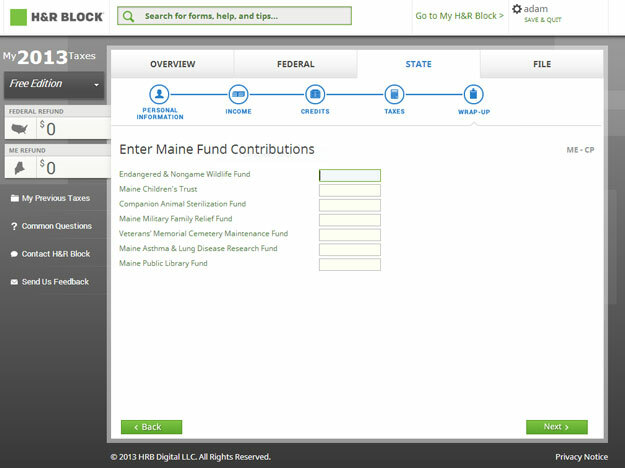 When you reach the following screen, make sure that you place a checkmark next to the section that reads "Contribute to a Maine fund." Click the "next" button at the bottom of the screen. 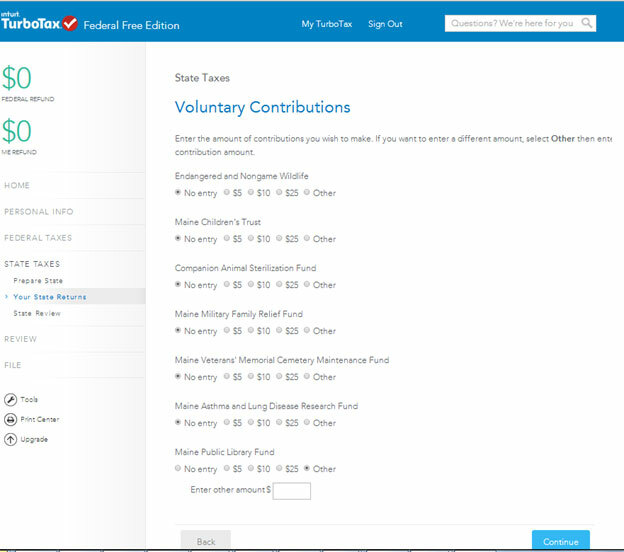 Type in the amount you would like to contribute to the Maine Public Library Fund on the bottom line of the form. Click the "next" button. 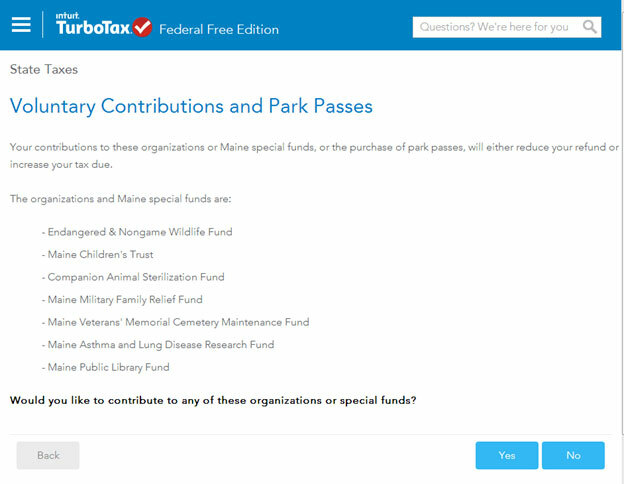 Like H&R block, the TurboTax voluntary contribution questions come toward the end of the process of submitting information for your State of Maine income taxes. When you reach the following screen, click the "yes" button to go to the section where you can donate to the Maine Public Libary Fund. Now specify the amount you would like to donate. If you check "other" a box will open to allow you to specify a dollar amount of your choice. When you have finished, click the button marked "continue."